Fall is here and believe it or not, the seasons can really change how we wear our hair! 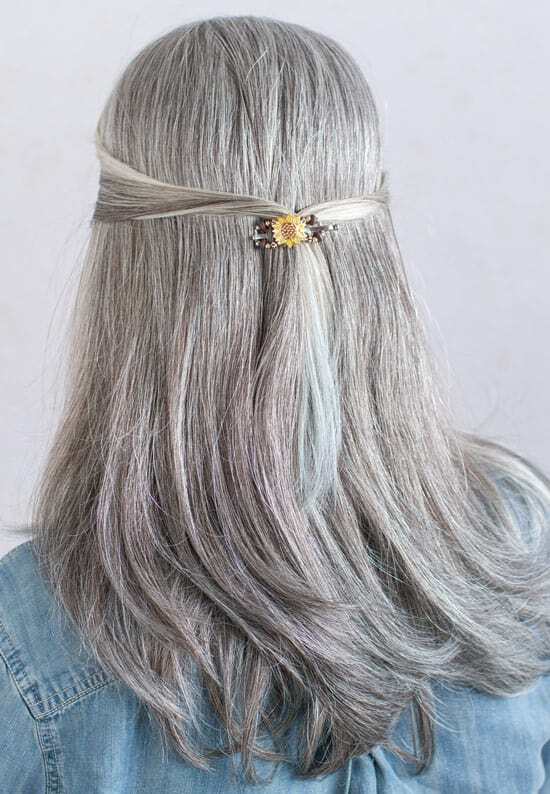 If you have longer hair then you might want to keep it up all summer long when it’s hot. During the fall you might have more days where you keep it down, but you still want it styled and looking nice. Here are 10 different hairstyles that are perfect for fall! This is variation on the standard ponytail. Add some splash to that standard look with wrapping some hair around the ponytail and securing it with this beautiful maple Flexi Clip. Since it comes in seven different sizes, you can find one that fits your thin or thick hair! This is a loosely styled half bun that is held up with these lovely (extremely sturdy) bobby pins. The Autumn leaves definitely make this look like a fall hairstyle, and the half up and half down look is a good compromise for the weather! Perfect for shorter hair, this makes a normal halfback hairstyle look special when you add a little twist on each side before pulling it back. The hoot owl is adorable for fall! Do you have a fall event where you need your hair looking a little formal? 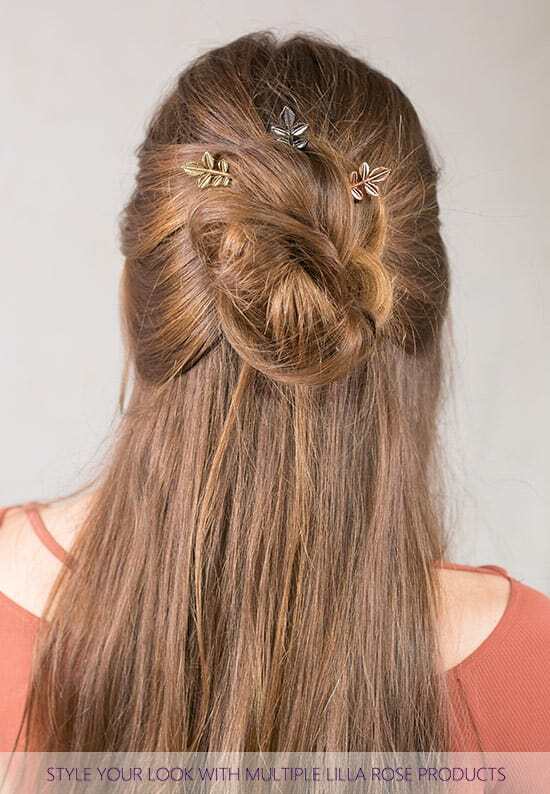 Put it up with this variation of a twist and use beautiful autumn looking bobby pins to hold it in place! What says fall more than a cup of warm tea or coffee? I’m not a coffee drinker (I’ve actually never even tried it! ), but I do love warm tea or hot chocolate during the chilly seasons. 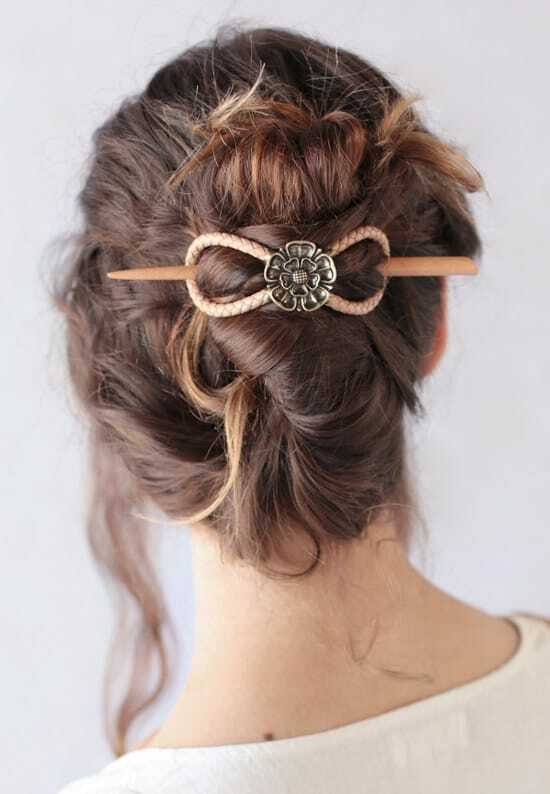 This is a simple hairstyle for those laid back days at home, or for running errands and meeting up a friend! This hairstyle works for curly or straight hair, and these adorable owls definitely make you think of fall! It’s easy to do this hairstyle, simply twist the hair around your finger and secure it with UPins or a Hoot Owl Flexi Clip for the same look! This is another variation of a French Twist, it’s just twisted a little differently and then pulled out for a more relaxed look up top. 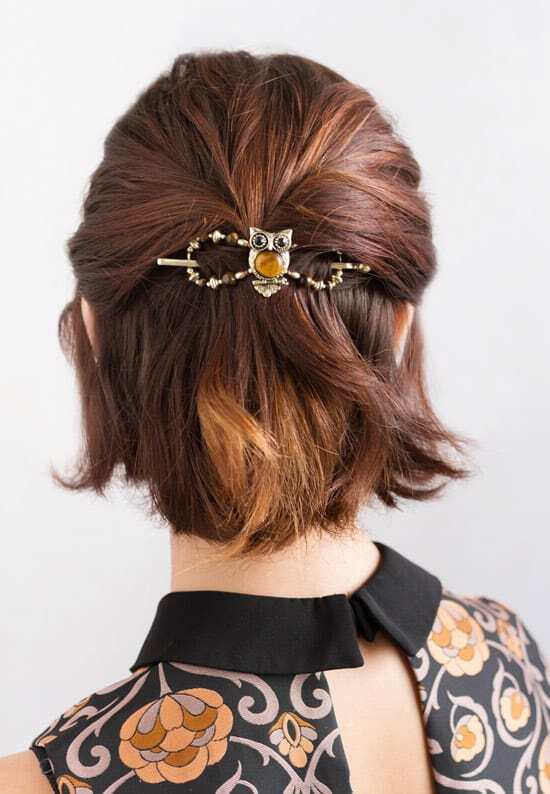 This Flexi Clip looks like it would go with the deeper colors that so many wear in fall, like brown and burgundy. This hairstyle has a more relaxed, romantic hair with the hair not tightly pulled up. It’s an updo, but it has a soft feel to it. The leather clip holds it all in place, and I like the colors for fall! 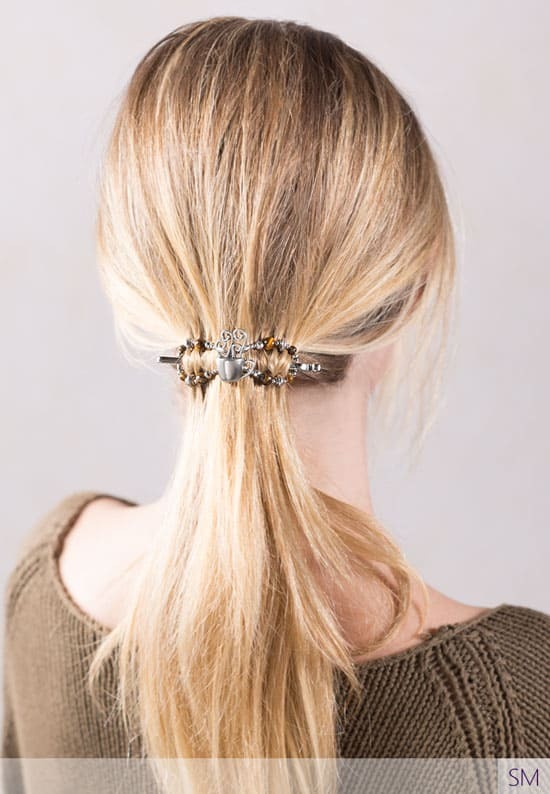 Finally, this beautiful mixed metals clip will go with any fall outfit, and it’s an easy hairstyle! 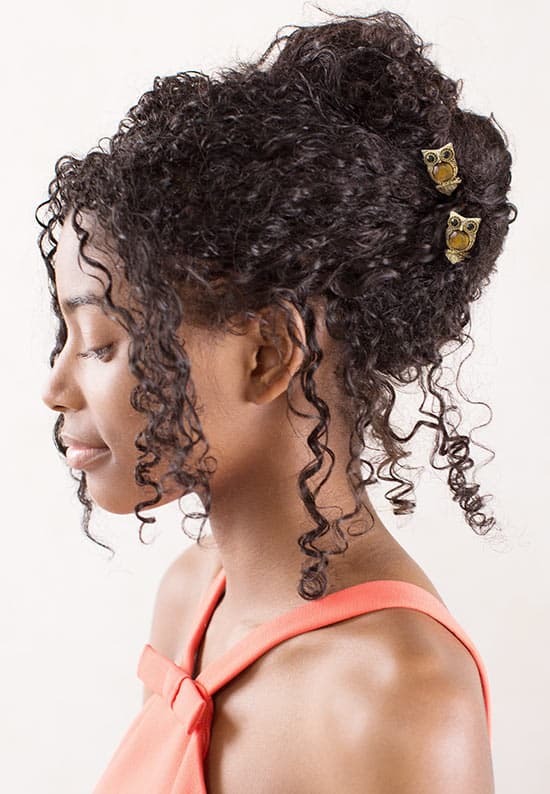 Just twist the hair to the side and hold it back with this flexi clip. I hope you are inspired by these hairstyles! You can find all of these Flexi Clips, Bobby Pins and UPins on sale through Wednesday, October 3rd right here! You even can save with free shipping on any order of $50 or more (including international orders! 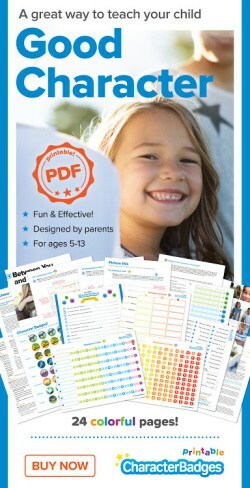 ), and you will get a FREE UPin if you spend $50! Guess what? I’m doing a surprise Mystery Hostess party from tonight until the end of the sale (Wednesday night!). Here is how it works. Every order gets you 10 points. Any can get 1 point by just commenting below. I’ll draw a winner on Thursday and send them a surprise package of items from Lilla Rose as a thank you for ordering. Remember, the sale is still going on! Save 10-20% off and free shipping on orders of $50 or more!! Would you like to learn how to do some of these hairstyles and more? Sign up for my free hairstyle challenge where I show you how to do seven different hairstyles through videos! « Modest Monday and a Link Up! I love those ideas!!!! 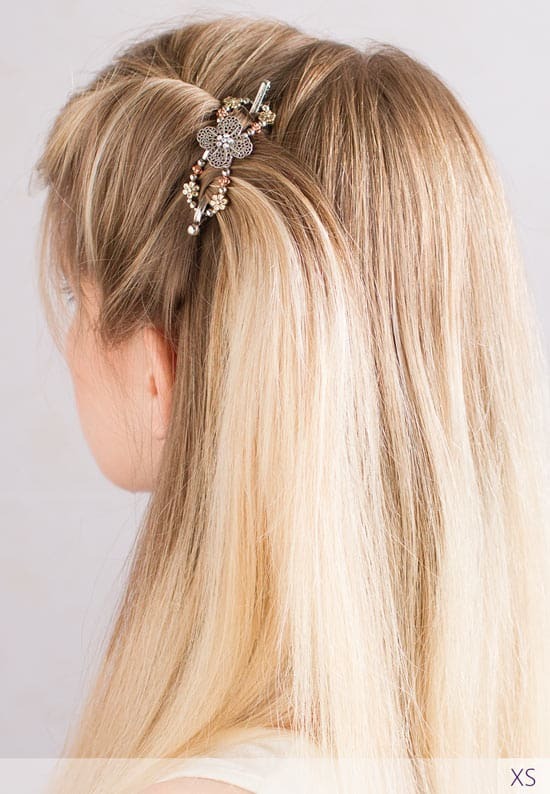 My favorite hair accessories are either fancy jeweled hairclips or fancy headbands! I love headbands because it takes under 5 min to simply put one in, and viola! Instant elegance!!! 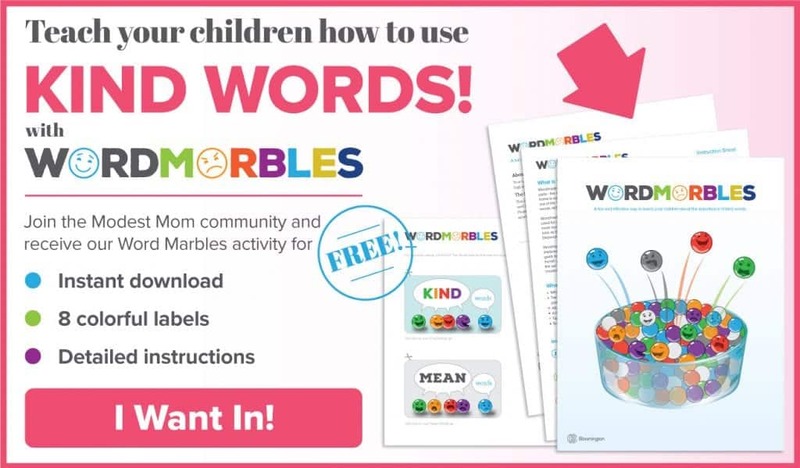 Very good but simple ideas! I like how you can make something simple but beautiful with the fleck clips! Thanks for sharing! Thanks for the cute ideas! I’m definitely sharing this post with my sisters. I’m glad you liked the ideas! Such pretty styles! I would love to see more ideas for extra long hair. Love all the owl clips – so cute!